Happy Memorial Day! I hope your day is filled with sunshine, loved ones, and lots of good food. My day today is pretty packed with wedding errands and a potential festival trip to the town that claims to have invented Memorial Day. Here are some snapshots of my weekend so far. 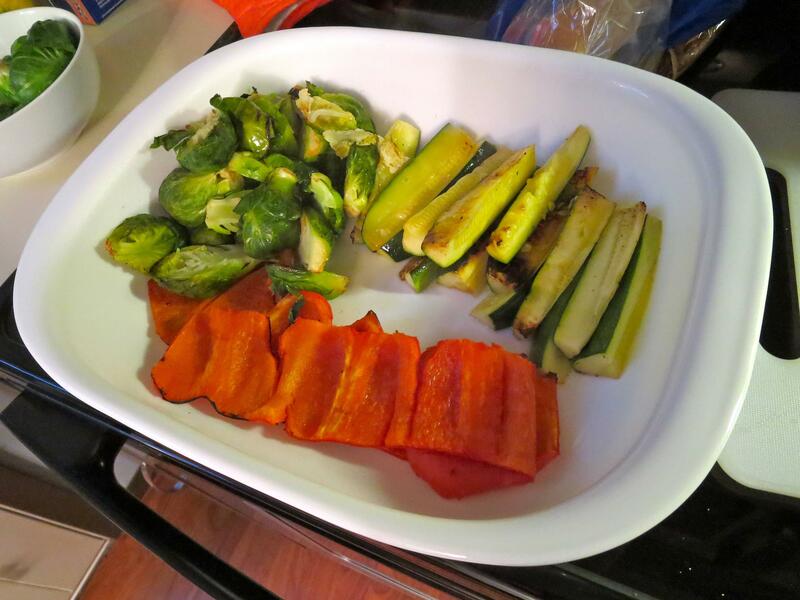 Grilled veggies at a Saturday night cookout. Mmm brussels sprouts. Crazy story about this date night though. It ended with us in the WalMart parking lot while Josh went to get insecticide. For the past few weeks my passenger side mirror has been getting a spider web on it. I’d remove the spider web when I got into my car but then it would be right back again the next day. I could never find a spider so I just laughed it off as super strange. When we were leaving the movie theater parking lot the spider web was back and we saw a spider crawling out from inside my passenger side mirror. Josh moved the spider from my car to the grass and I thought we had solved the mystery. Well then a few minutes later I look over and another spider is crawling out from inside the mirror. I then freak out and after Josh moves that spider we hightail it to WalMart because I’m scared there’s a spider nest outside my car. Josh was very sweet to take care of it (me and bugs do not mix) and thankfully there were only those two spiders. Hopefully they go find new homes that are not in someone’s car. 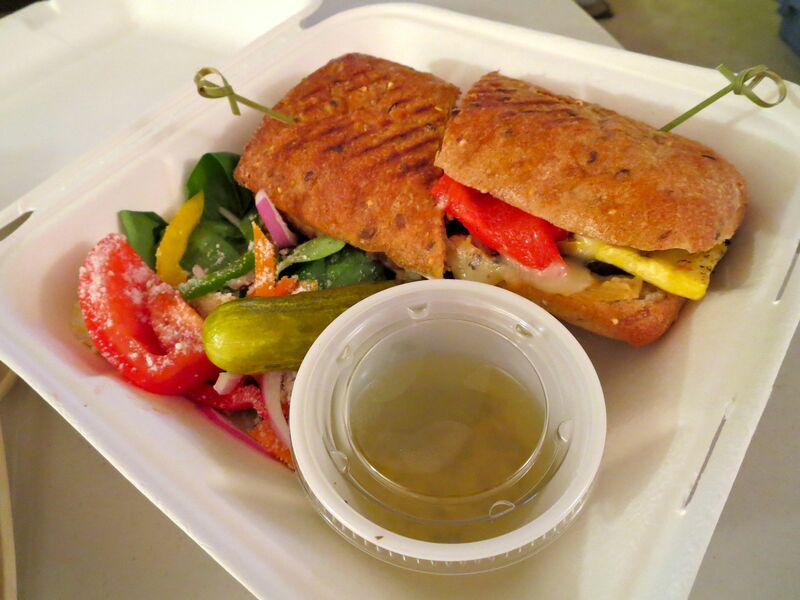 Our favorite take out veggie paninis from the Penn Stater. 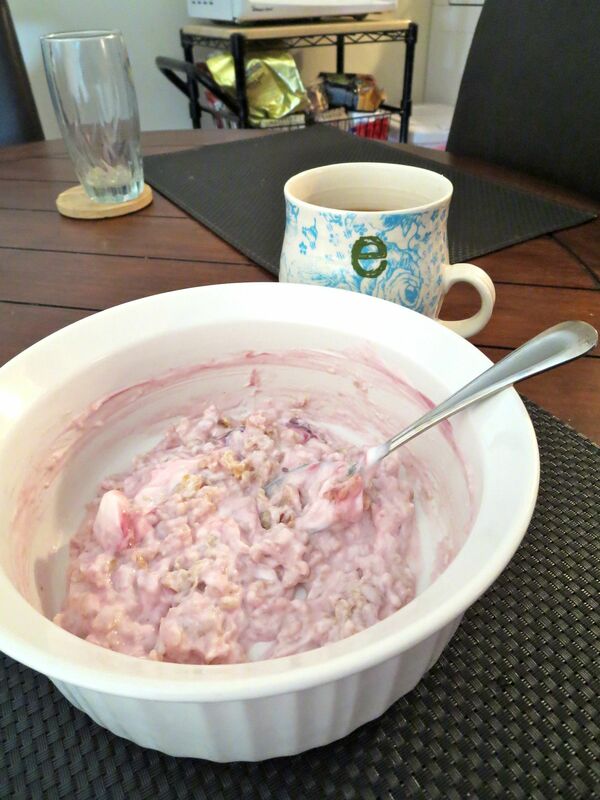 Greek yogurt oatmeal and coffee is a staple of my day. I’ve been loving Stonyfield Organic Greek yogurt. The more I learn about food the more I learn how important it is that food is coming from good sources and has been treated well. I’m really impressed with all Stonyfield does to ensure their food quality. I’m currently in a competition to become a Stonyfield Ambassador. Keep your fingers crossed for me! This is a brand I would absolutely love to represent. 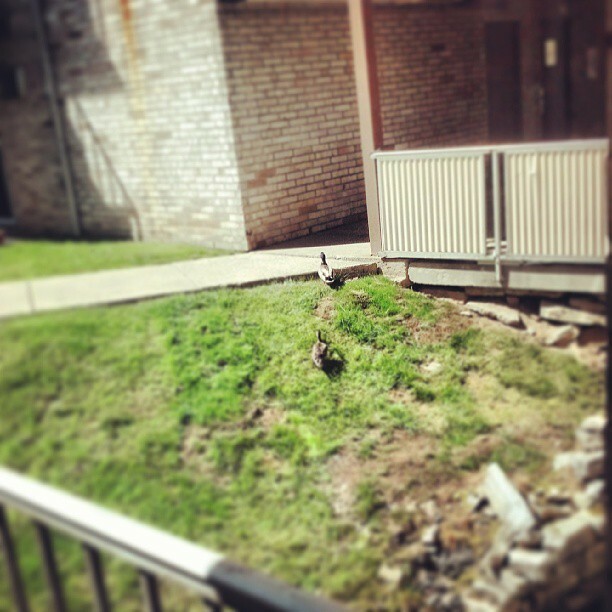 Josh’s apartment complex duck couple has been moving all over the courtyard. They’re so adorable but I don’t know why they have decided to settle down so far from any standing water. 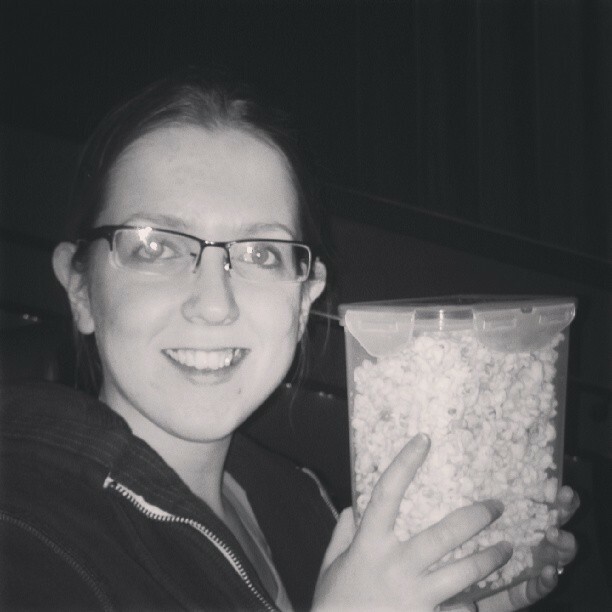 Josh and I had a movie night in watching Silver Linings Playbook. I LOVE Jennifer Lawrence and almost saw Bradley Cooper shirtless at Soul Cycle so even though I had no idea what this movie was about I was excited to see it. It was a really twisted but very sweet story that I would recommend to everyone. 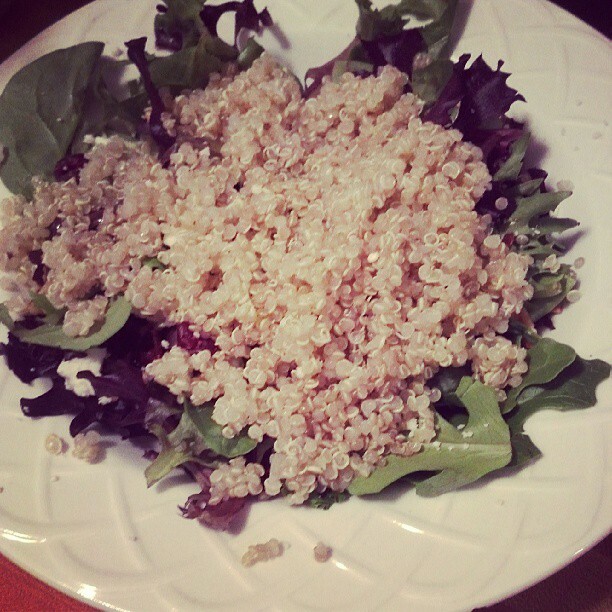 I’m loving quinoa on salad lately. Underneath the mound of quinoa was feta, nuts, and cranberries. The honey vinegar on top was a perfect pairing. 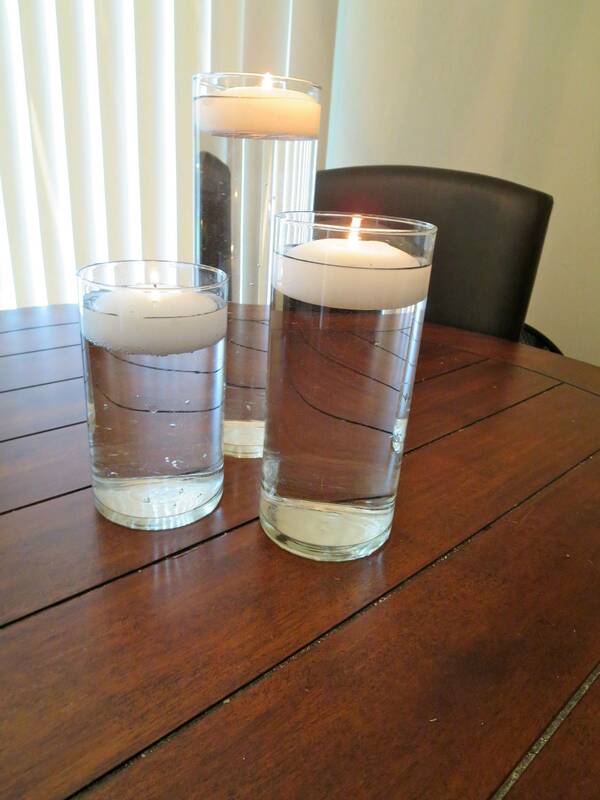 I tested out our centerpieces. I’m loving how simple and elegant this looks. 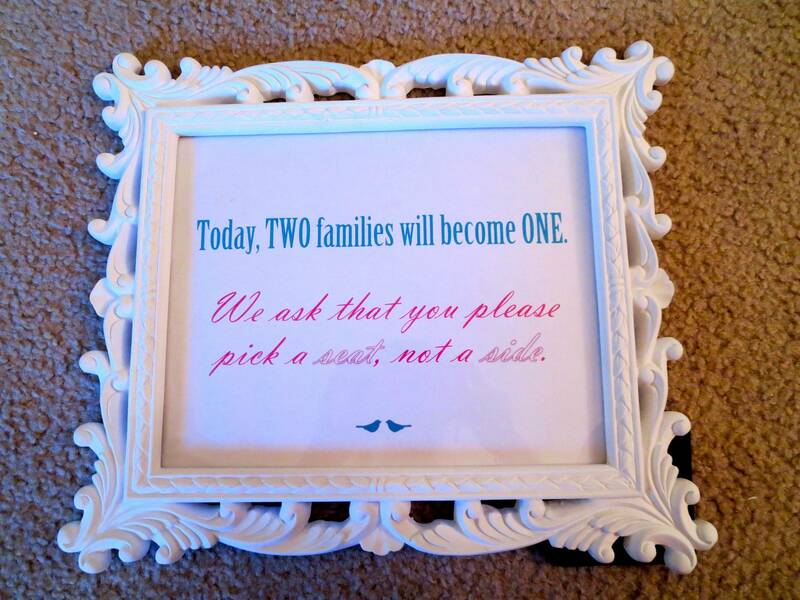 I made the sign for when people pick up their programs before our wedding ceremony letting them know to sit wherever. 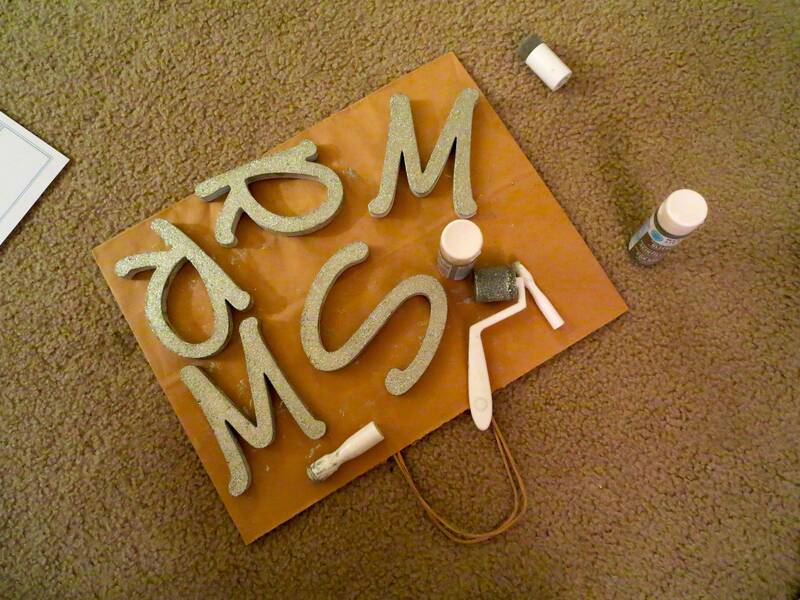 I glittered the heck out of our Mr. and Mrs. signs while watching a marathon of Extreme Couponing. Those women are smart but seriously scary. Josh and I did a test print of our wedding tree. We’re going to have everyone “leaf” a thumbprint instead of signing a guest book. We just needed to determine the fonts and colors and spacing of it all. We ended up going with purple and blue and placed an order with staples to get the final picture printed on card stock. Question of the Day: What are you up to this Memorial Day? your wedding stuff is coming together so beautifully!!! Thank you so much! I’m having a lot of fun doing it! Those paninis look SO good! And I love the wedding tree. That is going to turn out so great! I hope guests all leave their thumb print. I’m so excited to frame it afterwards! see? 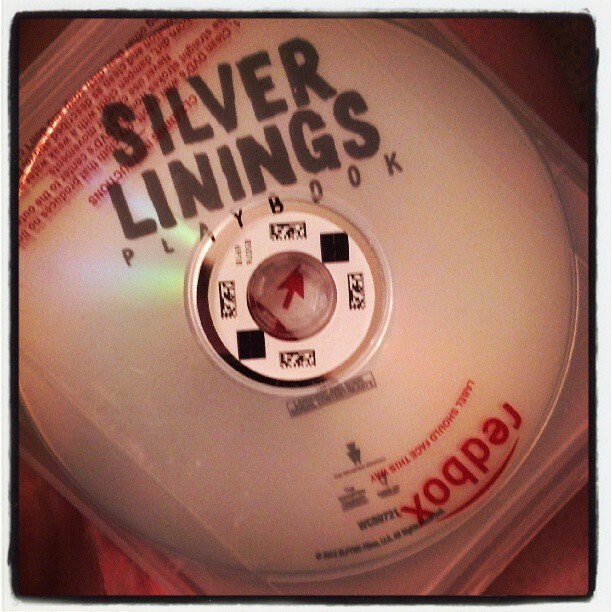 and Ive been avoiding SILVER LININGS PLAYBOOK as I thought it was sad?! It’s such a great movie!! I def recommend seeing it! Aw thank you! I’m having so much fun creating everything!! I love the wedding tree idea! Your centerpieces are wonderful. I love the simplicity. 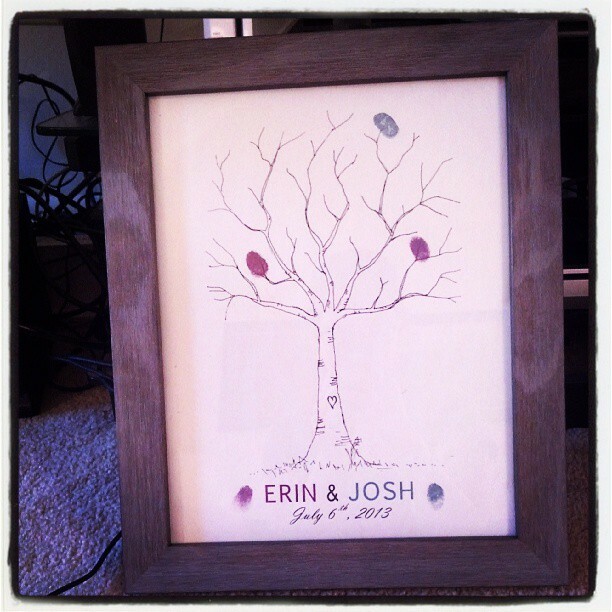 Your wedding ideas are so unique- I especially love the thumbprint tree! Aw thank you! I really hope it works out! I’m so excited to frame it after the wedding.